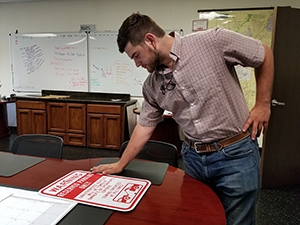 Joseph Gray, Vice President, working with a contractor planning out an ADA project. It is not a game to effectively and appropriately manage property, professional leases and shield commercial real estate investment. Ironically, most of the property owners lack necessary knowledge and skills to manage property matters without expert knowledge. Both time and skills are necessary for taking judicious decisions. If the property is suitably managed then it is in a better condition to magnetize the attention of quality tenants. It is the foremost goal of Herb Liverett to help client and enable them in achieving the goal. We have made our presence felt as a reliable commercial property management Sacramento service. As per the requirement of client, we derive a strategic management plan for every distinct project. There are many factors that must be considered such as market condition, financial environment and many more. We have a team of trained property managers who are always ready to extend a helping hand. Our commercial property management Sacramento service can help you to grow and multiply your investment. We are striving for excellence by offering quality service. It is our foremost aim to assist clients by providing them with comprehensive range of commercial property management Sacramento service. At, Herb Liverett, we attempt to create the balance between expenses and income potential for a stable, healthy and long term relationship. Shielding and assisting in the growth of investment is our foremost aim. As a responsible manager, we keep the clients informed and leave no scope for unnecessary vacancies that interrupt the cash flow. 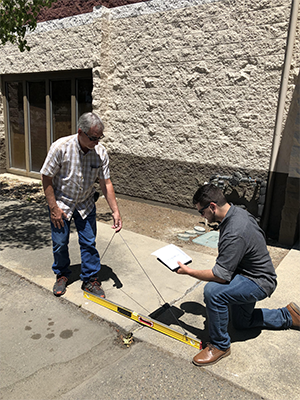 Joseph Gray, Vice President, works on the rectification of a parking issue at a commercial property. The business model of Herb Liverett is developed on the cornerstone of experience. Our team is aware about all such tactics that can convert property into a profitable investment. The team of Herb Liverett believes inefficient risk management and simultaneously prioritizes tenant comfort. Our every aspect is focused upon maximizing the investment. Enjoy the financial benefits of property ownership without the headaches that come with it. With Herb Liverett Companies, Inc. you can relax: We’ve got it under control. Call our office in Sacramento, CA today to learn more about our commercial property management services.